A microSD card with the OPC UA server / client with IBHsoftec firewall is now available for the Siemens Gateway IoT2040 (6ES7647-0AA00-1YA2). By simply plugging the microSD card pre-configured by IBHsoftec, the IoT2040 becomes an OPC UA server / client for Siemens PLCs. This solution integrates SIMATIC S5, S7-200, S7-300, S7-400, S7-1200, S7-1500 and Logo! (Ethernet versions) Controllers into the OPC UA world. It is an OPC UA Server/Client module with integrated firewall for the SIMATIC S5, S7-200, S7-300, S7-400, S7-1200, S7-1500 and LOGO! (Ethernet versions) PLC. 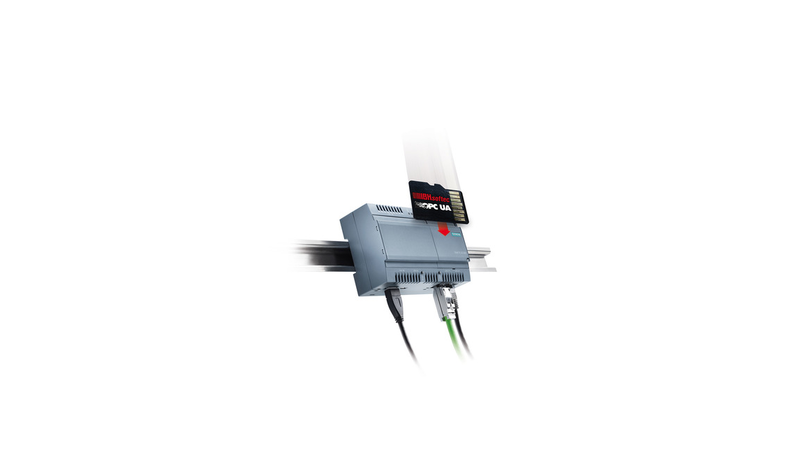 It is a compact unit for DIN rail mount with four Ethernet ports and a 24V power supply.